Something I’ve begun to enjoy, rather than be resentful about, is that I am no longer a top player. My opinion on the game is treated much differently than it was a few years ago and while this is difficult for my fragile ego to handle at times, I think it has given birth to a new and unique perspective. Sometimes I question what the community settles on as being the top tier decks, and often wonder if there is a point they could be missing. For instance, I believed that Tapu Bulu-GX/Vikavolt was the correct play for Memphis Regionals—an event that saw the decline of Gardevoir-GX and rise of Zoroark-GX. At the time, Tapu Bulu-GX was still a joke of a deck, but now it has slowly risen to being a contender at the very top. I think that one of the most fascinating parts of our game is the way the metagame always finds a way to shake itself. This is not observable only through statistics and results, but also can be seen through communal opinions. Inevitably, these opinions have a way of outdating themselves very quickly and there is almost a metagame of language that one must understand in order to navigate the various social media discussions while receiving the least amount of hostility as possible. Tapu Bulu-GX/Vikavolt as a deck is one of the most interesting cases of this that I can think of in recent memory. Upon inception, it was almost entirely perceived as a “meme tier” deck with a bulk of the community completely writing it off as a joke. Merely using the word “Greninja” on a public platform will incite an immediate onslaught of Greninja hand jokes, Michael Long jokes, and various other comments that all suggest that is bad and should be avoided at all costs—despite its merits. These opinions are continually regurgitated to the point where everyone knows what decks are good and what decks are bad, regardless of results. Someone ‘unknown’ player can continually put up good results with a deck that the community considers only in meme form and that will never change its status within the game, but all it takes is one top or “celebrity” player to showcase it at a tournament for the opinion to immediately begin to shift. Returning to our case example of Tapu Bulu-GX, John Roberts II has played the deck exclusively since its release, and while never doing exceptionally well, he has always done far above average ,and I believe has earned his invite this season playing it entirely. John Roberts is an incredibly divisive character and while I think a vast majority are likely to argue with him about something (myself including), I think it is certainly foolish to use any of these claims to attempt to discredit him as a player. 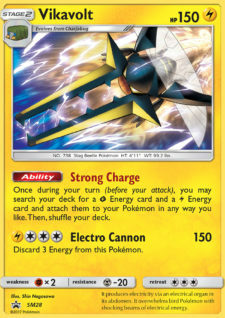 Vikavolt/Tapu Bulu-GX has always been a good deck but argumentation towards this conclusion has always been resisted because it was easy to dismiss by ignoring its results and doubling down on the meme jokes. As long as something holds this meme status within the community, I think it becomes incredibly difficult to see the deck as anything else. “KicaBulu,” while existing for sometime has not featured great results until our own Alex Hill’s Top 4 performance in Portland. What I find most interesting about this whole phenomenon: the results of the deck have been that of a top contender all along, and instead of seeing a paradigm shift on this viability, almost nothing has changed for the deck (as far as a communal perception is concerned) from what I can tell. Top players have largely had one of two reactions. The first being an “aha” moment where they really knew it was a top deck all along and were hush-hush about it. The second “group” sees almost nothing changing, and despite its continued results and Alex’s close run to a Regionals victory, it still seems to be a laughing matter. A competitive joke that is taken more seriously, but all the comments about it being a meme deck or a bad deck that found the right metagame at the right time are as popular as ever. This continues to compound my view that once something reach this meme status, it is almost impossible for the view to shift. I prepare myself for this scenario every single time and have sleeved up Giratina only once since its release a few years ago, and I can think of many tournaments where one bad pairing to Greninja would’ve probably prevented my from making the Top 8. There is a problem with a very clear solution, but it’s rare that we need to take that preventive measure because Greninja will never be taken seriously. Despite several top players doing well with it very consistently, or players like Jon Eng who do very well playing it exclusively, as long as there are jokes to be made about Greninja hands, we as a community will always ignore it as a competitive threat. I attempted to make this argument a few articles ago but I would like to revisit it, as I think it will strengthen my final points. Greninja as a deck, in my opinion, is a good deck. It is not cursed, nor does it have some sort of magical inconsistency attached to it that prevents it from doing as well as it should. Of course, a Zoroark-GX deck is going to be more consistent, but that is the main appeal of playing Zoroark-GX with anything. I would rate the “consistency” of Greninja very closely to the consistency of older Gardevoir-GX lists and many current iterations of Tapu Bulu-GX/Vikavolt. Things start to get “iffy” or “inconsistent” because of the fact that Greninja simply needs much more than everything else in order for it to function properly. You need to evolve (and keep evolving), you need to not prize your Frogadier, and you cannot draw into your Frogadier in the first few turns. So many little things can go a wrong and spell disaster for the Greninja deck, while one Gardevoir-GX and an energy may be strong enough to threaten a Zoroark-GX player for the entire game. These little things do amount to a problem for the deck, but claiming these little things are equatable to our general usage of “inconsistent” is incorrect. The main takeaway I think we should learn from Greninja and its plagued hands is that simplicity is king (and queen). The best decks are always the ones that the do most with as little resources as possible, and for any developing rogue players out there, definitely keep this in mind before attempting to counter the format. I do apologize if it sounded like there was any sort of “judgement” conveyed in my tone about this topic. I truly do not care if you engage or participate in these memes, and there is no judgement on way or another about how you discuss decks on social media. I simply wanted to try and write up these trends I have begun to notice over the past season and wanted to see if I could use this insight to think about any older decks from older formats that might have been overlooked for this very reason. I think the “meme” sentencing of a deck is very strong, but we should be willing to overlook in order to give decks the credit that they are due. Tapu Bulu-GX/Vikavolt and Greninja are good decks, but most importantly, they were always good. Gardevoir-GX has slowly begun to make a resurgence as well ,and I do not think this is a case of it being good again. It was good the entire time, but as a community, we unfairly wrote it off because it was not the hot, new thing anymore. Ross Cawthon’s “The Truth” from the 2011 World Championships is one of my all-time favorite decks, and I think it does an even greater job here of adding to my argument. If this list had been posted anywhere before Ross took second, not a single person would have taken it seriously. It would have been treated with total animosity and likely given the “meme” treatment in the current era when it actuality it should’ve easily won the event. The reality of a deck’s potential is completely removed from our community’s opinion thereof. One of the unfortunate parts of not chasing the top 16 race means that my own concerns within the game tend to be different from those looking to play a large event every weekend. As such, I do acknowledge that the Latin American International Championship is the next, big tournament, but I wanted to shift gears today and talk a little Expanded. Salt Lake City will (hopefully) be my next Regional Championship and I have been doing my very best to start preparing as much as possible for it. Expanded has such an incredibly large card pool and it may seem daunting to find a deck that has answers for everything in the metagame, but thanks to Zoroark-GX’s impact, I think it may be an easier metagame to predict than Standard! Things have developed considerably since Dallas where I last played Expanded, and outside of a very small percentage of outliers, I think that there are just three main decks to consider: Zoroark-GX/Exeggcute, Drampa-GX/Garbodor and Glaceon-GX/Barbaracle. The power dynamic between these three decks is relatively healthy, and while I think that both Drampa-GX and Glaceon-GX are favored against any Zoroark-GX variant, Zoroark-GX is still too fast and too consistent at times and can steal games against the worst of matchups with Ghetsis tricks and Red Card shenanigans. Finding a deck that is favored against all three of these others is likely to be impossible, but I do think all of them have weaknesses that can be exploited, which calls for some experimentation. The initial place my investigations began was simply returning to Zoroark-GX. Its power has been proven time and time again, and so I think there is very little that needs to be said about the current state of the deck. I think the transition of the deck from being about Zoroark-GX and a various partner (like in Standard this tended to still be with Golispod-GX or Lycanroc-GX) to a much more focused version has absolutely been the correct decision. 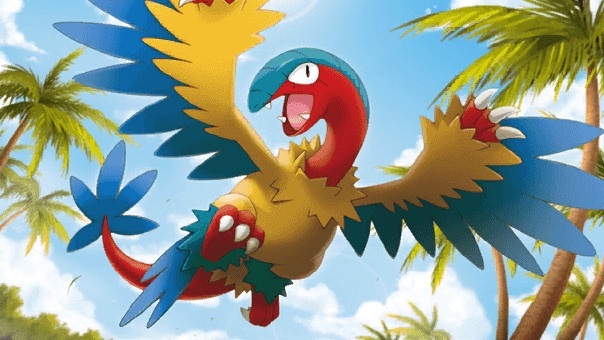 The Expanded format is largely too fast for either Golispod-GX or Lycanroc-GX to have a noticeable impact without slowing down the explosiveness of Zoroark-GX. I have been somewhat intrigued by various potential substitutes like Ninetales DRX, as it acts as Lycanroc-GX, but is not hampered by Glaceon-GX and is also not a liability as a non-GX. This idea may have some potential, but I do admit that some of my interest in trying it is surely biased because I tend to go out of my way to play one of my favorite Pokémon in a deck if I think it is remotely viable. Despite this being a “new” list, it should look very similar to a majority of the lists that succeeded in Costa Mesa. I think, between Kian Amini and Daniel Lynch’s lists in the Top 8, that the “Lonzoroark” list had essentially been perfected. However, in order to prepare ourselves more for an upcoming metagame where Glaceon-GX and Drampa-GX/Garbodor will likely be much more popular, I think a few slight adjustments need to be made. As previously mentioned, both of these “counter” deck attempt to simultaneously prey on Zoroark’s reliance on Sky Field and Double Colorless. I think the combo of Red Card with either Hex Maniac or Ghetsis is incredibly powerful, but ultimately unnecessary. By cutting down on the disruptive potential of the deck, we open up space where we can focus more on including cards that counter what counters us. Field Blower is incredibly useful against both our biggest foes, and so I think it is very important to try to maximum count of the card in the deck. Against Garbodor, we are able to get rid of Garbotoxin and Parallel City as often as possible, and against Glaceon-GX, we prevent Rough Seas from ever sticking, which will keep Barbaracle from being a real threat. 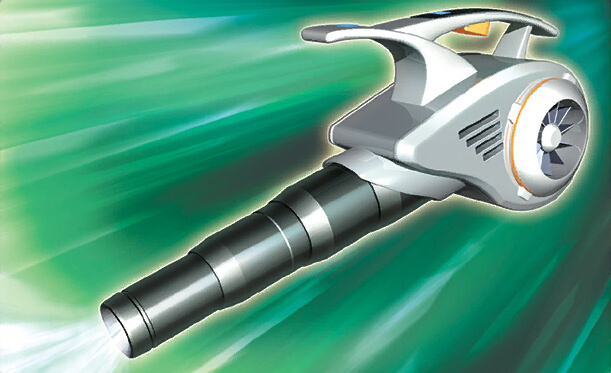 Special Charge gives us further insurance against the pesky energy removal of Drampa-GX and the high Enhanced Hammer count in the Glaceon-GX lists. Field Blower may be somewhat useless in many other matchups, but I think one might be surprised by some of the versatility it can have. By having so many copies of the card, you increase your chances of having it early, which can help stop Buzzwole GX’s Jet Punch from being a huge threat after you are able to start evolving. In the mirror, you can attempt to use it to punish your opponent’s own Sky Field, and, say, Guzma up a Shaymin-EX for a two Prize KO and make it much harder for them to find a response KO on your own Zoroark-GX. 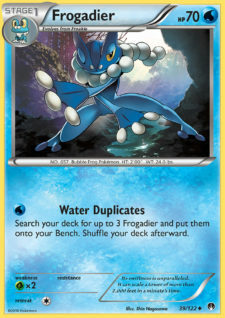 Many fringe decks can be somewhat reliant on their Choice Bands to find a way to keep your Zoroark-GX in check and while not necessary for your winning strategy, finding anyway to make your opponent’s game more difficult is never a bad thing and finally, if unneeded, it can just become the best Trade target for your deck. I hope that everyone find success at their events within the coming weeks. 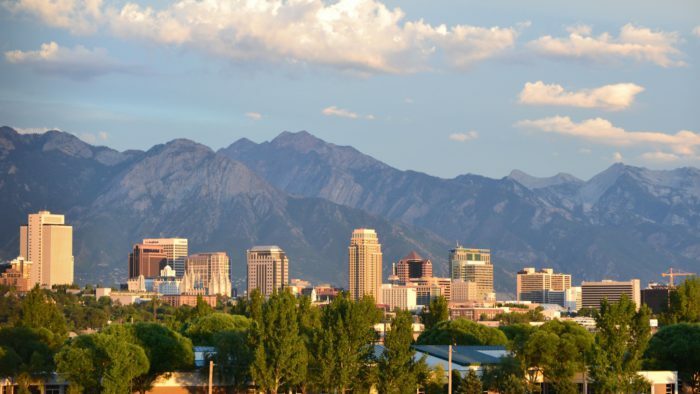 I will be back at the end of the month with some more Expanded ideas before Salt Lake City, and some last minute suggestions for anyone en route to Brazil. I think that both Standard and Expanded are in very healthy spots right now and think that Forbidden Light will make more decks viable without invalidating anything else. I think Hoopa is one of the biggest threats in Standard right now, and your deck should absolutely be prepared for it moving forward. I seem to be struggling to find events to attend and while it really is looking like I am not going to place even two cups with quarter, I am still very optimistic about being able to finish my invite this year and I hope that everyone still chasing those points can share in this same positivity. As always, I look forward to seeing anyone and everyone at events soon and until next time!